Tents for camping! 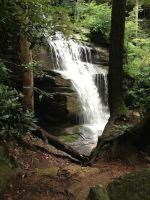 What a great way to get your feet wet in the campground. These can be set up in a matter of minutes. Some tents just "pop" open and some have poles you have to put together. Either way, a tent is an easy travel companion if you plan to stay outside. Tents are best for camping in good weather. Please don't plan to camp in a tent when the weather is bad. You can get cabin tents if you and your family like to spread out or if you have lots of campers. The more people you need to "house", the bigger and more complicated it is to set up. It will take more than one person to set up a very large cabin tent. It may be a good idea to set up the tent in your yard at home before your camping adventure, just to see how it is put together. Then, when you get to your camping area, you won't spend a lot of time trying to figure out the instructions to put it up. It will not take nearly as long the second time as it did the first time. You can spend more on fun and less on work!! You can find camping tents in just about any fabric made for outdoor use. A canvas tent makes a good, long lasting fabric. If you cannot find one that is waterproof, you can get some water repellant to put on the seams of the tent to repel water. This comes in tubes and is easy to apply. Be sure to coat the seams according to the directions on the tube. 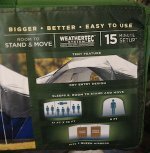 Some tents for camping have a rain fly you can add to the top of the tent. You can also get a "porch" for your tent. These are nice to have for outdoor stuff like coolers, chairs and your camping equipment. These tents will bring years of fun with minimal care. If your tent gets wet, be sure to dry it out completely before rolling and storing it. It will mildew and will have a horrible smell if it is stored wet. Double check all the storage bags in the tent to make sure you have everything out before tear down. It would not be fun to remember your car keys are in the tent after you have everything stored and loaded in your vehicle to go home! Do not allow your tents for camping to stay out in the sun for many days. The sun will eventually break down the fabric. It will change colors and start to lose it's durability. You can put a rolled tent in a backpack if you plan to hike to your camping spot. They are very lightweight and are not space hogs. You can stay in wooded areas or open areas as long as the ground is clean. Be sure to remove sticks and rocks from underneath the tent floor. You will have holes in the floor if you don't. That will give you a wet floor if it rains. Make sure tree limbs are healthy if you plan to sleep in the wooded area. A rotten tree limb may fall if the wind blows and could cause unwanted accidents to the tent or even to you. Find a level spot that is clear of tree roots or stumps. These make for lumpy sleeping not to mention damage to your tent. Once you have your tents for camping, and have decided on where to go, please let someone know your location. You never know what will happen and if you have an emergency, someone needs to know how to get to you. You can go boondocking, or use it in the campground. Either way, you will enjoy the free feeling of nature and the beauty of it. It is always a good idea to take a cell phone or even a flare with you. Safety is always something you want to think about ahead of time, because we all have 20/20 hindsight. Make your tent camping time a memorable one with a happy ending. A journal or photo book will help you keep track of your travels and capture those special adventures. Fall weather is the ideal time to get your tents for camping. You can get a great price on the closeout models and they will last for a long time.